Necessity is the mother of all invention. There was a need for storage in a bathroom that did not have much space and that gave birth to this cabinet. 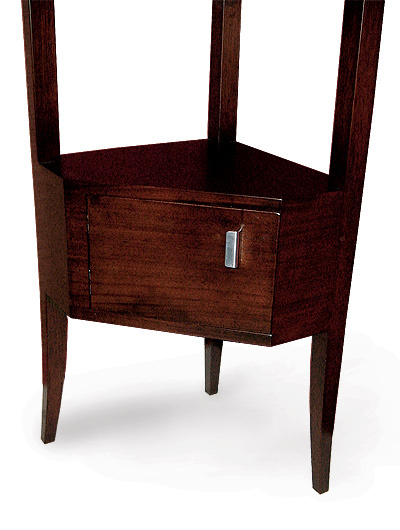 It is made of mahogany and stands 65" high. The handle is stainless steel and set into the door with a technique that I have developed that conceals its attachment and gives it a sense of mystery.